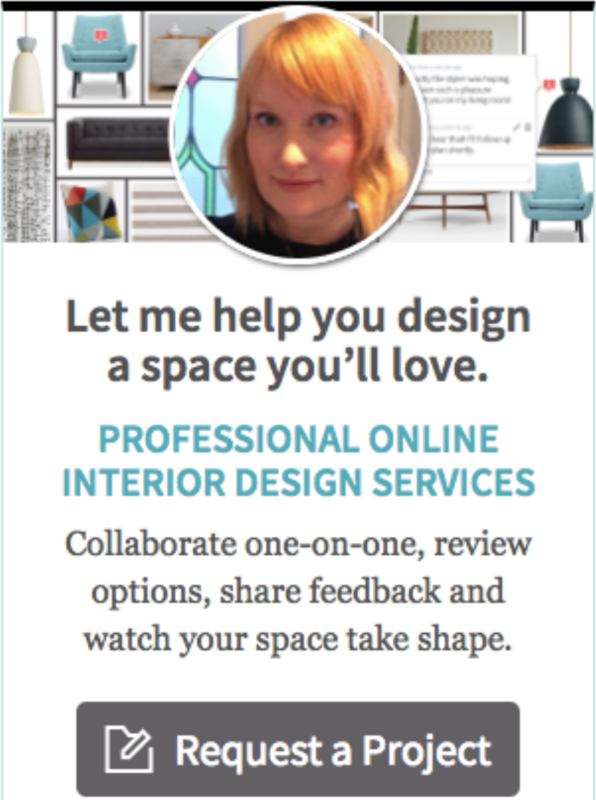 One of my interior design loves is seeing how designers style small spaces. I’m a sucker for the room sets at Ikea and have been ever since the early days of my marriage, when my husband and I would trawl IKEA for furniture we could afford in order to fill our first home together. We started out with just a bed and an armchair donated to us from my husband’s grandmother and so had a lot to get! 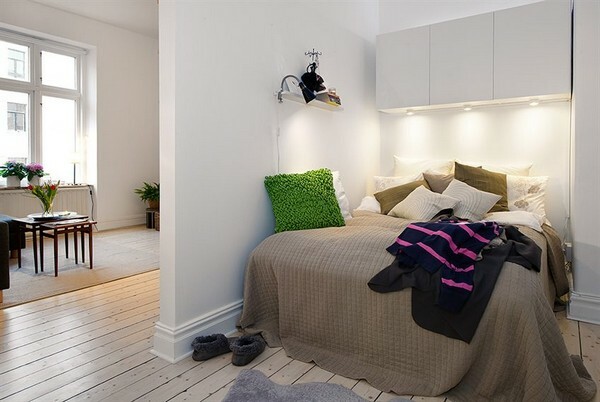 This small but perfectly formed apartment caught my eye whilst I was browsing through the Fresh Home website recently. 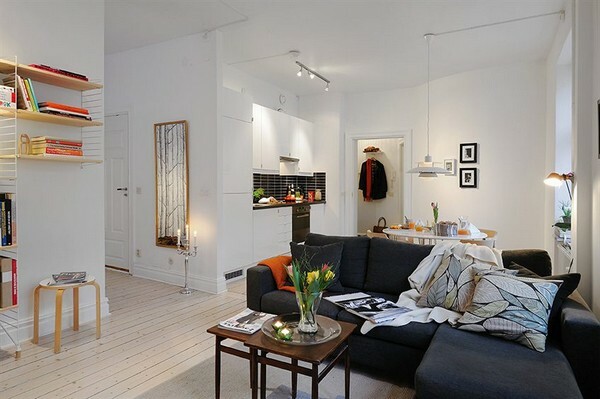 There are some clever design tricks in the apartment that work well to maximise the small space. The neutral colour palette and use of natural materials (such as the dining chairs and flooring), ensure that the space reflects the maximum amount of light, resulting in a bright and airy feeling. Painting the walls and ceiling in the same colour is a good idea too, as this prevents the eye from stopping where the walls and ceiling meet. 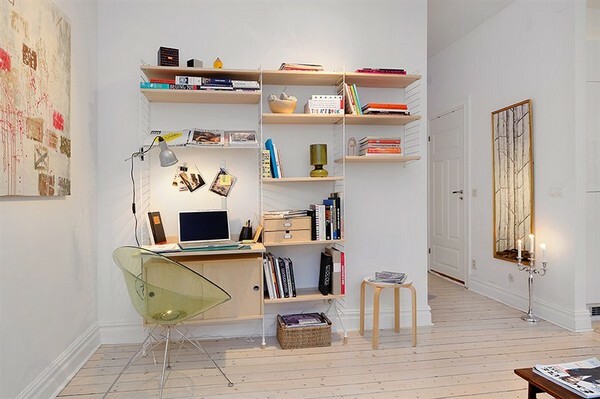 Adding colour to a small space via accessories and books is a good styling tip if you are on a tight budget. 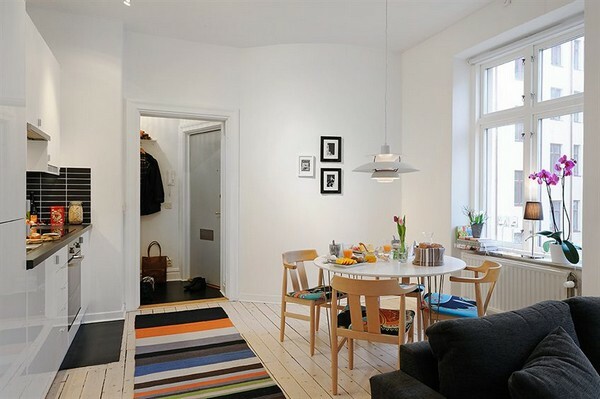 Choosing just one or two main accent colours will help to keep the look more cohesive. Personally, I’m not a huge fan of the way the bedroom are has been styled. It’s a bit too clinical for my tastes but I wanted to include it so that you can see the full apartment. Perhaps I’ll include some styling ideas for a small bedroom in my next post to show you how I would design it. What would you do? We can compare notes! Educate series: How resilient are you? 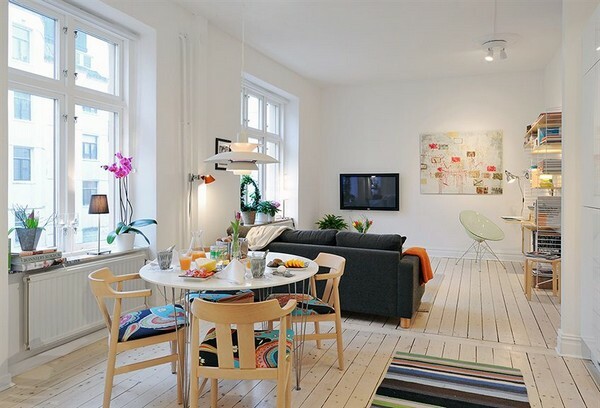 We are loving the pops of color throughout this space – definitely makes the apartment seem larger! Thanks for sharing!